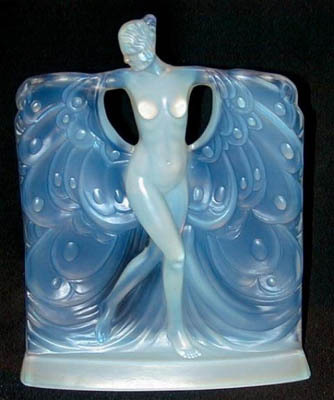 Sabino Art glass Opalescent Crystal. SABINO ART DÉCORATIF STATUE "SUZANNE"
9"x 7" - 23cm. x 18cm. Sabino is a registered trademark of the Sabino Crystal company.